Splendours of South India Tour showcases the best aspects and locales of Tamil Nadu and Kerala. South India is for many the "real" India. The reason being, the millennia-old Hindu culture, due to lesser impact of barbaric Islamic invasions, is almost intact and thus introduces one to purest form of Hindu rituals, ethos, traditions, arts, crafts, lifestyle, attires, cuisines and practices. 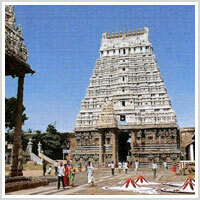 Tamil Nadu presents the best architectural specimens of Dravidian style of temple construction. More than thousands of years old mammoth and majestic temples, a sort of intricately carved and engraved stones built ancient skyscrapers, are social nerve centers of the social life of the people of Tamil Nadu. 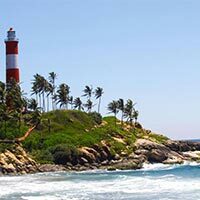 On the other hand, Kerala, aptly called as ‘God’s Own Country’ welcomes you with dreamscapes of cardamom mountainous gardens, palm groves and waterways. Welcome to India! You will be met by our representative at the arrival hall of the airport in Chennai and transferred to pre-reserved hotel. Chennai (formerly Madras) is the capital of Tamil Nadu and has, despite its vast area, large population and long tumultuous history, preserved traditional atmosphere even to this date. Thronging people, tinkling rickshaw, mantras murmuring pilgrims, clattering mopeds, the sacred cows on the roads, honking vehicles etc will certainly bring you into a pleasantly bedazzling world. After a short rest at the hotel, you will be taken up on a city tour. The Chennai city tour will encompass a visit to the main attractions- Fort St. George, Dakshina Chitra and Kapaleeswarar Temple. The mighty Fort St. George , from where once the British East India Company managed the area, is now home to a museum which allows insights into the history of the occupation. In order to have deep insight into the original culture of the South, you will be taken to Dakshina Chitra, a sprawling open-air museum where you can get to know at first hand the architecture, arts and traditions of the region. Another prime attraction of Chennai is Kapaleeswarar Temple, the Hindu temple which is a nice specimen of South Indian temple architecture, embodying elaborate carvings of Indian mythology. Spend eveni ng in leisure and have overnight stay in Chennai hotel. A bit early in the morning, drive for Mahabalipuram via Kanchipuram. Kanchipuram, the city of 1000 temples, is one of the seven sacred cities of India and has an ancient tradition, whose roots are found in pre-Christian times. After about an hour of drive, reach Kanchipuram in the morning and enjoy a sightseeing tour of the city which is also known for the rich culture of silk weaving. After sightseeing of Kanchipuram, explore local market for handicraft products and beautiful silk sarees. Thereafter, early noon, drive to Mahabalipuram. Mahabalipuram is famous mainly for its beach and cave temples. The famous seaside temple, a UNESCO World Heritage Site, is so close to the water that it had to be shielded of the ocean tide by a great wall. Noteworthy are also the cave temples, some dating back to the 7th century, which are decorated with a variety of reliefs of Hindu deities. On arrival at Mahabalipuram, check in at the hotel. Here, your tour guide will meet you and take you for sightseeing of Mahabalipuram. Later, return to spend evening in leisure and have overnight stay. This morning, continue along the coast and reach first Auroville. In the 1960s, the "City of Dawn" was established in order to disseminate the teachings and beliefs of the Indian philosopher Sri Aurobindo Ghosh who was a revolutionary, lead armed revolt against the British and later led a spiritual life. People from all over the world come here to participate in the life of the community and to develop spiritually. Then drive to Pondicherry , which is unusual in many ways. A touch of French flair blows through the streets. Catholic churches, the city park, the Hotel de Ville and the colonial-style building facades are just a few of the vestiges of the French past. While strolling through the city, you get to know the charming town that was the scene of the movie "Life of Pi". Overnight stay has been scheduled in the hotel. After having scrumptious breakfast in Pondicherry hotel, leave the shores, head towards inland and reach Chidambaram , the city of the cosmic dancer Nataraja (Lord Shiva). Stroll through the Nataraja Temple, probably the largest temple complex in India. The faithful and devotees offer prayer and perform religious rituals at various shrines in the courtyard of the temple complex and thus create an ambience of ethereal spiritualism. Enjoy the serene environment. Again drive to Tanjore. En route, stop at Darasuram to visit Airavateshvara Temple. The Airavateshvara Temple of Darasuram is expected to be declared UNESCO Heritage Site. It is embellished with splendid reliefs and chiseled sculptures of gods, mythical creatures and demons. After that, proceed to Tanjore. On arrival at Tanjore, you will be transferred to the pre-booked hotel. Tanjore has been capital of several dynasties but the prominent among them was Nayakas. After relaxing a bit, proceed to visit Sri Brihadeeswara Temple and Nayak Palace. Late afternoon, another highlight awaits you: we have an appointment with a Nadi Reader for you. The art of Nadi reading is firmly integrated in the Hindu religion for thousands of years. About 7000 years ago, a group of "seers" (Rishis) created a collection of details of past, present and future of millions of people on palm leaf. These palm leaves are preserved in a library. On the basis of these descriptions, details about your past, present and future are told. Later in the evening, return to hotel for overnight stay. After relaxed breakfast in Tanjore hotel, depart for Madurai. On the way to Madurai, you will be taken to Trichy. Trichy is a historical town and has lot more interesting tourist attractions. Among the prominent monuments are Srirangam and Rangnathar. The early cave temple on the flanks of the rock is well worth a visit. Then proceed on to Madurai. Madurai is a big bazaar, packed with shops, street vendors, temples and restaurants; a city where you can spend a lot of time alone with observing and watching. On arrival at Madurai, check in at the pre-booked hotel. Spend the evening at leisure in your own fashion and have overnight stay in Madurai hotel. Have scrumptious breakfast in Tanjore hotel and drive for Madurai. It will take about 4 hours to reach Madurai. On arrival at Madurai, you will be transferred to the pre-booked hotel. Considered as the holy city of south India, Madurai is home to probably best of the temples. Madurai is one of the oldest cities of south India. It has been the centre of learning and pilgrimage for centuries. More than 2500 years old ancient city, situated on the banks of the river Vaigai Madurai is believed to have been built by the Pandyan King Kulasekara. Legend says that the divine nectar fell from Shiva's hair and gave it the name-Madhurapuri, now known as Madurai. The history of Madurai dates back to more than 3000 years when it was the capital of the Pandyan kings. In 10th century AD, Madurai was captured by the Chola emperors. It remained in their hands until the Pandyans obtained independence in 12th century, only to lose to Malik Kafur, a general in the service of the Delhi Sultanate. Malik Kafur and his dynasty was defeated by the Hindu king of Vijaynagar. After the fall of Vijaynagar in 1565, the Madurai Nayaks ruled until 1781 AD. Madhurapuri grew and prospered to become the capital of the kingdom of Pandyan. Madurai is referred to in the Ramayana, Kautilya’s Arthashastra, by Megasthenes (302 ac), Pliny (77 AD), Ptolemy (140 AD), Marco Polo (1293 AD) and Ibn Battuta (1333 AD). After breakfast, proceed for exploring Madurai along with the tour guide. The Madurai tour guide will be introduced with you in the hotel. The sightseeing tour includes three prominent monuments – Tirumalai Nayak Mahal, Vaniyur Mariamman Teppakulam and Meenakshi Temple. Meenakshi Temple: Meenakshi Temple is symbol of cultural and architectural epitome of Dravidian style of temples. Lying in the very heart of the city, Meenakshi Temple was built in pre-Christ era by the very founder of Madurai, Kulasekara Pandya. But the credit of present day grandeur goes to Vishwanatha Nayaka & Tirumalai Nayaka. 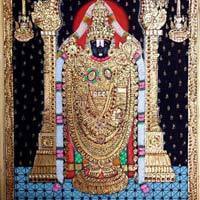 During the reign of Vishwanatha Nayaka in 1560 AD, the design of the present day temple was prepared and final construction took place during the reign of Tirumalai Nayaka. Meenakshi Temple, spread over more than six hectares, has four entrances called Gopurams. Each of its 12 towers has the height of 45 to 50 meters. A perfect example of Dravidian style of temple architecture, Meenakshi Temple is characterized by highly heightened and broad ‘gopurams’( large gateways), mandapams (multi-pillared halls) and intricately and profusely sculptured inner and outer walls with images of gods, goddesses, animals and mythical figures. Visit of 1000 pillar Mandapam (hall). Each pillar got different sculpture. Tirumalai Nayak Mahal: After decline of Vijayanagara Empire, the leading nobles –the Nayakas, emerged as rulers of south India, including Madurai. The city of Madurai and Nayaka dynasty flourished during 16th to 18th century. Thirumalai Nayak built this palace in 1523, which is hardly a kilometre away from Meenakshi Temple. Built in the Indo-Saracénico style, the remains of the palace constitute main entrances, ballroom and main hall. The palace was originally four times larger than it’s today. The main attraction is now sound and light show in the palace, which shows the events of the life of Thirumalai Nayak and parts of the ancient Tamil epic Silappathikaram. Mariamman Teppakulam, an enormous temple tank, was also built by the Thirumalai Nayak in 17th. This huge tank in the eastern part of the city is said to have subterranean canals connecting it to the Vaigai River. There is a ‘mandapam’ with an idol of Vinayaka or elephant in the middle of the tank, brightly lit during the float festival at the time of full moon of the Tamil month Thai, which falls between January 15 and February 15. After visiting monuments, primarily temples and palace, explore local market/ bazaar. If possible, do attend evening worship ceremony of the deity in a temple. Later, in the evening, return to hotel for overnight stay. Today you will leave the state of Tamil Nadu and travel across the Western Ghats to Kerala. India's wildlife is as diverse as its culture. Periyar National Park , the most famous nature reserve in South India, you have the opportunity to observe wild animals like tigers, elephants, monkeys etc which have become very rare on our planet. On arrival at Periyar National Park, check in at the jungle resort which is well equipped with all modern amenities. In the afternoon, take a cruise on a bamboo raft. Overnight stay has been scheduled at Thekkady/ Periyar hotel. Have scrumptious breakfast in Thekkady resort and proceed to enjoy a boat ride on the Periyar lake .The artificial lake is not only the water storage for the neighboring Tamil Nadu, its adjacent forests are also home to many animals. The more advanced the dry season, the greater are your chances of sighting rare animals, because the water level drops in the lake and thus offer the forest dwellers less hiding places at the shore zones. In the afternoon, take a guided tour through the rainforest to watch spice gardens with vast plantation of herbs and spices. Evening is reserved for leisure and overnight stay is scheduled therein. After delicious breakfast in Thekkady/ Periayar resort, drive to Kumarakom. On arrival at Kumarakom, check in at the lakeside resort. Kumarakom, a hamlet, inhabited on a reclaimed land from Vembanad Lake, is also home to a bird sanctuary. World famous Ayurveda therapy is available here in many of the resorts. In Kumarakom, you will get today a glimpse of the lives of India's rural population. Visit the village of Kumarakom, a palm-fringed tourist destination that is tucked away at the mouth of a river falling in the Vembanad Lake. Enjoy the tranquility of the secluded village. Know and learn about its inhabitants and their daily life on an equal footing. The rest of the day is kept for leisure. Overnight stay has been scheduled in Kumarakom resort. A highlight of this trip is the boat ride through the lagoons of the backwaters. The backwaters are an extensive waterway network which is below sea level. Explore this water maze on board a comfortable houseboat. Wade through the tropical lagoon landscape of Kerala and catch a glimpse of the local life. Along the way, you also have the opportunity to contact/ visit directly the villages on the shore. Af the night falls on the backwaters, the fishermen ignite oil lamps on the banks and images of their flames are reflected in the lake. Let yourself be enchanted by this sight while you are relishing local dishes being served on the deck. On the houseboat, enjoy all the amenities, including a comfortable room with bathroom. Overnight stay has been planned in private houseboat. Greet the new day on board the houseboat and experience how the backwaters come back to life. After a delicious breakfast on board, continue to Cochin. Cochin has exciting and varied stories to tell: the French, Portuguese and Dutch came and went. You can still find in the commercial capital city of Kerala many traces of this colonial past in the streets and buildings. While strolling through the city, you will visit the main attractions of the city. In the evening you should not forget to see the fishermen and Chinese fishing net in the harbor. Chinese fishing nets offer a unique spectacle. Overnight stay has been scheduled in Cochin hotel. Splendours of South India Tour is coming to an end. Depending on your departure time, transfer to the airport. Present day capital city of Tamil Nadu, a southern state of India, is Chennai. Since the advent of the British, it was known as madras but very recently it is re-christened as Chennai. Comparatively Chennai is a new city with history of 350 years. Initially, few hamlets integrated emerged as a town and later developed into a city but today’s Chennai, the fourth largest city of India, is the result of phenomenal growth over the past few decades. With best modern infrastructure and amenities like thriving sea harbor & port, international & domestic airports, a sprawling railway station and excellent road connectivity with all major towns and cities, Chennai serves as a convenient starting point for a tour of South India. With all modern infrastructure and development Chennai charms one with its allegiance to ancient traditions. Chennai in true sense retains the culture, the customs, the charm and the courtesies of the ages. It reflects in an airy city with several vestiges of its rural past. The lifestyle of the people of Chennai is more of a laid-back sort without compromising with their professional responsibilities. The city of Chennai adheres to the leisurely tempo of life of a world of yesterday. Popularly known as the Golden City, it is considered the second holiest city in India next only to Varanasi. "Nagareshu Kanchi" is the old saying. It means that among the cities, Kanchi is the greatest. There are seven Mokshpuris (sacred cities that guarantee salvation) in India and Kanchipuam is one of them and is the lone Mokshpuri in South India. Reputed to possess more than one thousand temples once upon a time, it was famous as "city of temples". At present only a few of them have survived the ravages of time and invasions. Each temple has a story and each lane, bylane and street has atleast one temple. It was the historic capital of the Pallavas from the 6th to 8th centuries and later became the citadel of the Cholas, Vijaynagar kings, the Muslims and the British. Kanchipuram was the meeting place of Hinduism, Buddhism and Jainism. It was a centre for learning Tamil culture and religious scriptures for centuries. Adi Shankaracharya, Appar, Siruthundar and the great Bhikku Bodhidharma lived and worked here. The Kamakshi Peetham was established here by Adi Shankaracharya. Kanchipuram is said to have inspired the builders of rock temples at Badami and Ellora. The city of Kanchipuram is considered under three divisions- Shaiva Kanchi (Big Kanchipuram), Vishnu Kanchi (Little Kanchipuram) and Jain Kanchi based on the dominant faith of each sect. At present, there are about a hundred temples built during the time of various periods which provide ample opportunity for the study of temple architecture in South India. Today, Kanchipuram possesses all modern amenities. For generations, it has been famous for weaving silk. It has gained reputation for Kanchi silk sarees for lusture, durability, contrasting colours and superb finish. The British introduced the sericulture to Kanchipuram. Mahabalipuram (Mamallapuram), situated on the shores of the Bay of Bengal, was a thriving ancient port of the Pallavas. This port town had flourishing trade with many distant nations in past. During Pallava regime, this port town emerged to unparalleled glory which is self evident from the many marvelous monuments with sculptural panels, caves, monolithic Rathas and temples. These temples are Mahabalipuram's signature symbol. The name Mamallapuram is derived from the title Mahamalla (meaning a great warrior) Narsimha Varman. The port was constructed by King Mahendra Varman in the 7th century. The glorious zenith of Dravidian art and architecture can be seen in the monuments of Mahabalipuram. Though sculpted in stones, the idols seem lively. The richness of monumental splendor and charming beaches make Mahabalipuram a distinguished tourist place in India. Though Puducheri is situated on sea shore, it is not known for its beaches. Rather, Pondicherry earned its reputation for tranquil beach town with a unique mix of two cultures- French and Hindu. 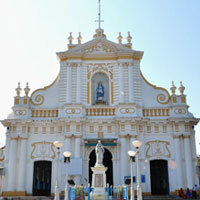 Puducheri, earlier called as Pondicherry, was a French colony and hence offers a unique amalgam of Indian and French cultures. The traces of French rule and its cultural influences can easily be noticed in the red kepis of the police officers, French spelling on signboards and traffic signs and some buildings and old stones. Explore Pondicherry and must visit old churches and Ashrama of Maharshi Aurobindo Ghosh, Auroville. Hassan is a nodal place which serves as a convenient base to explore several interesting tourist places around. 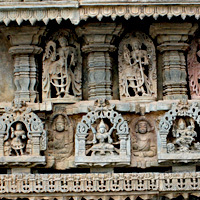 The places around Hassan like Halebid and Belur were prominent centres of Hoyasala rulers and, hence, possess even to this date the remnants of more than 150 ornately carved temples of 11th century, built in Chalukyan style of architecture characterized by a star shaped pedestal and one centred around a pillared hall. The walls and niches are filled with genius and delicate work. Tanjore (Thanjavur) was once the capital of the Chola, Nayak and Maratha rulers and is situated in the delta of rivers Cauvery. Thanjavur, named after demon Thanja who was killed by Lord Vishnu, is also called as the City of Refuge, derived from the word Thanjan. The place is called as the Rice Bowl of Tamil Nadu. Tanjore, far older than the Chola period, rose to glory during the later Chola reign between the 10th and 14th centuries and reached its zenith becoming the centre Tamil learning and culture during the Chola rule. It continues to enjoy the important even today due to its cultural and contribution to music and dance. In the city, there are rare specimens of old art and architecture, inscriptions and paintings created centuries ago. It is known for its exquisite handicrafts, bronze casting and articles and South India musical instruments. Raja Rajendra Chola conquered the Pandyas and the eastern Chalukyas in about the middle of the 10th century and founded a mighty kingdom with Thanjavur as his capital. He and his successors in the dynasty enriched the places with grand temples and places. Next in importance to Chennai, Madurai, known as Athens of the East, with its 2500 years old history, is a place of great antiquity, historic importance and Tamil culture. History attributes the foundations of Madurai to the Pandyan kings. Kulasekhara, who flourished in the 6th century AD. The city improved after the 7th century and there was another golden age in the 13th century AD. The Pandyan splendor was extinguished by the invasion by Malik Kafur in the 14th century AD. After seventh years of Muslim rule, the Pandyan rulers re-established themselves and built the temple and tower that we see today. After the decline of Vijayanagar, the Nayak dynasty becomes the supreme master of Madurai. 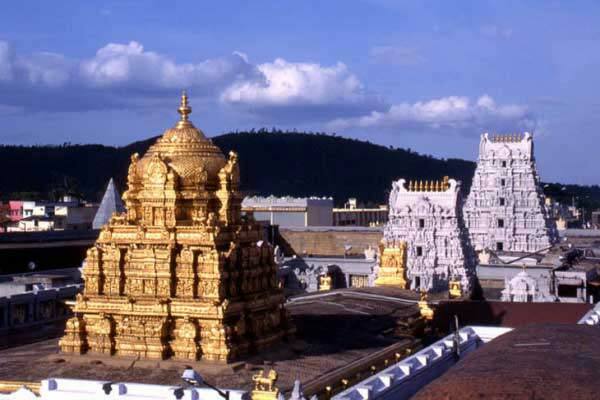 The greatest among the Nayaks, Tirumala Nayakan added several monuments to its splendors and pomp. Madurai, situated on the bank of the river Vaigai, has spread over a large area. The fabulous temples embellish the southern bank of the river. The many religious festivals celebrated with elaborate rituals and pageantry have earned for it the name of City of Festivals. Thekkady in Idukki district of Kerala is famous for Periyar Wildlife Sanctuary, spread across 777 sq kms. Monsoon first reaches Kerala and heavy water shower results great variety of bio-diversity. This biodiversity can be easily seen and experienced in Thekkady. In addition to a great pool of flora and fauna, Periyar Wildlife Sanctuary in Thekkady offers opportunity to spot elephants, sambar, tigers, gaur, lion-tailed Macaques and Nilgiri Langurs. 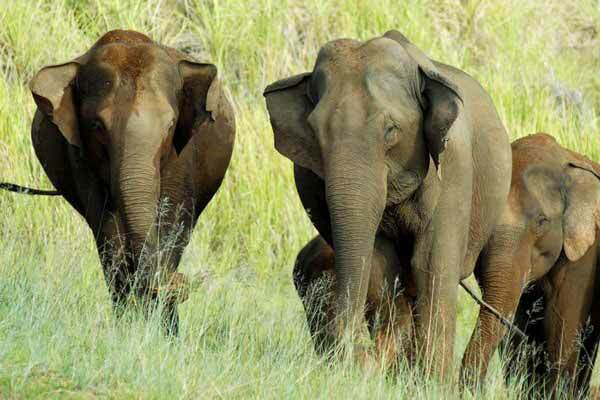 The main attraction of the Wild Life Sanctuary, declared a Tiger Reserve in 1978, is viewing the herds of wild elephants in the lake while having a boat ride in Periyar Lake. Thekkady is considered a heaven for natural spices such as black pepper, cardamom, cinnamon and clove. Kumarakom is at a distance of merely 10 kms from Kottayam district of Kerala. The serene hamlet turned town is home to large variety of birds and migratory birds can be spotted here. The nearby islands also provide a haven for these birds. Kumarakom, a typical Kerala village, has sprouted on the eastern bank of the Vembanad Lake. Kumarakom is just 85 kms away from Cochin. Kumarakom is bound by the Vembanad Lake on two sides, the swaying paddy fields on one side and a bird sanctuary on another. Kumarakom is a perfect two day stopover on the way between Cochin and Periyar Wildlife Sanctuary or vice versa. Kumarakom has gained tremendous prominence on the map of Kerala tourism. 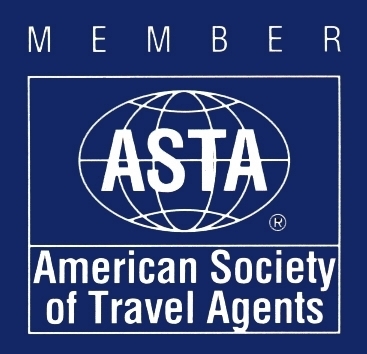 All kinds of hotel accommodations- budget to luxury- are available here. Kerala is worldwide known for its backwaters and backwater tourism. Alleppey is locally called as Alappuzha. An intricate maze of canals and backwaters lined on both sides by lush greenery makes Alappuzha an interestingly beautiful place. Much sought after by the tourist, the boat rides served by ferries to Kollam and Kottayam offer you an experience of a life time. Famous as the "Venice of East", Alappuzha is also the host to the spectacular Nehru Trophy Snake Boat races. Alleppey is the most popular and beautiful place to enjoy backwaters of Kerala while enjoying an overnight houseboat cruise. During your houseboat stay in Alleppey, see 400 year old Champakkulam church (one of the 7 churches established by St. Thomas) and the Chavara Bhavan. Passing through various canals and waterways and passing by sporadic islands will be an unforgettable experience of Alleppey backwaters tour. Alleppey deserves to be called as the Venice of the East, with its intricate network of canals, backwaters and bridges. Alleppey, sandwiched between the Arabian Sea and the Punnamada backwaters on Kerala's southern coast, can be characterized as "life in slow motion". Cochin- the rich and spice city of Kerala- welcomed, endured, survived and ultimately surmounted the Portugese, the Dutch and the English. Present day Cochin has developed from a humble beginning of a fishing hamlet. Ernakulam is Kochi's modern counterpart on the Kerala mainland. Kochi and Ernakulam are in front of each other across the channel. 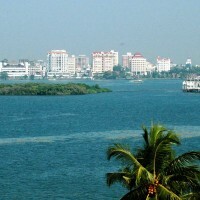 Cochin, being commercial hub, is termed as commercial capital of Kerala. Being home to one of the finest harbors, Cochin is called as the "Queen of the Arabian Sea". Kochi is the base for tourists to see places in the interior of Kerala. Centuries old Chinese connection can also be observed in the form of huge cantilevered "cheenavals- Chinese fishing nets", hung from bamboo and teakwood poles at Vasco de Gama Square. Total night stays: 11 (Chennai-01; Mahabalipuram-01; Pondichery- 01; Tanjore-01; Madurai-02; Periyar- 02; Kumarakom-01; Alleppey-01; Cochin-01). Dakshin Chitra visit near Chennai. Backwaters River/Lake boat cruise in Alleppey with traditional houseboat called ‘kettuvalam’. Do taste a variety of sea foods in Cochin. Spend few hours leisurely in Auroville, Pondichery to learn few tips regarding meditation. Do explore world-famous spice-market in Cochin. At least one night home-stay in Kerala to enjoy traditional south Indian way of life. 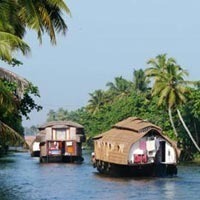 Houseboat stay and cruise in Kerala backwaters. Do enjoy Ayurveda therapy and massage in Kumarakom. If possible and interested, do visit guruku teaching legendary martial art of Kairali. Cochin:Explore curio shops, small and quaint, for ethnic articles like colorful bead jewelry, mat and bangles made of coir, wood, bamboo, shells, brass, ivory and sandalwood. Madurai: Perfume and sandalwood articles. Kumarakom: Appam (prepared of fermented rice and coconut dough) & Karimeen (prepared of freshwater fish). Cochin: Meen Mollagitta curry (prepared of freshwater fish) & Kurukku Kalan ( a vegetarian specialty prepared of yoghurt, curry, toasted banana & rice). Madurai: Do taste Dosa, Idli, Sambar, Vada, Rasam, Upama, Uttapam etc. Prices mentioned are per person on double/ twin sharing basis. Normally the package cost includes breakfast at all locations but in case of the destinations where availability of restaurants outside hotel not possible, we provide meals there and mention that in inclusions. The normal check in - check out time of the hotels are 1200 hours and if your arrival time does not suit this we can arrange activities for you on the first day or pre-book the hotel from the previous night on additional charge and as per your request. Normally it takes 1 hour to come out of the airport from the time of arrival. Any other Items is not included in " Inclusions" heading.